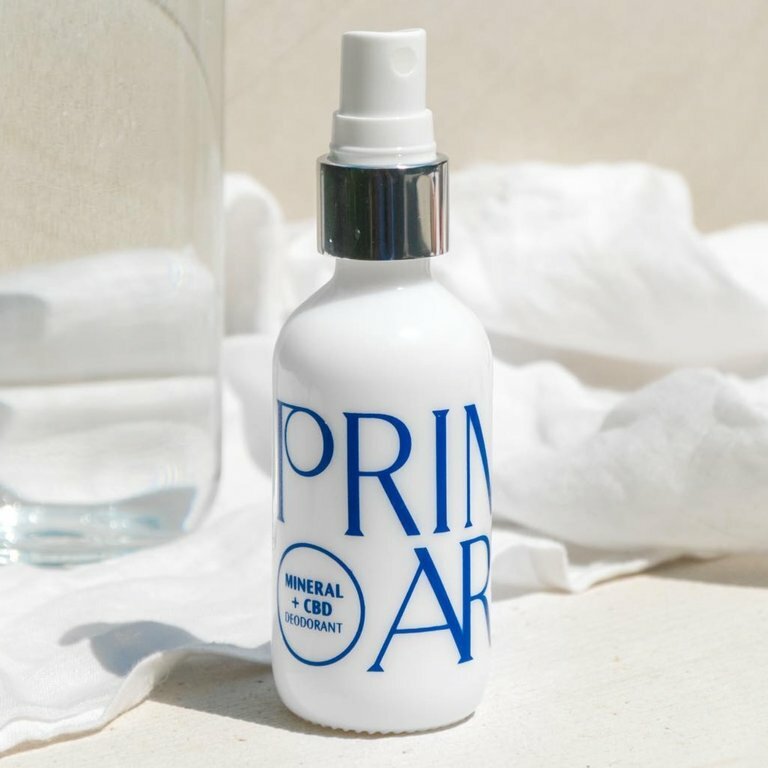 PRIMARY mineral + cbd deodorant utilizes the antibacterial properties of CBD to target and diminish odor-causing bacteria while maintaining your body’s natural balance. Free of alcohol, aluminum, and synthetic fragrances and full of non-toxic, naturally derived ingredients to help keep you smelling fresh and feeling good. 25mg C B D Per Bottle. We love this all natural ingredient because it is the only natural ingredient we've ever tried that actually works and it smells great! Ingredients: Magnesium Chloride (USP Grade), Aloe Barbadensis Leaf (certified organic filet of aloe vera), Hamamelis Virginiana Extract (certified organic witch hazel ), Purified Water, Phytocannabinoid Rich Water Soluble Hemp Oil (USA Grown Organic), Zinc Ricinoleate, Tetrahydroxypropyl Ethylenediamine, Citric Acid, Citrus Grandis (Grapefruit) Seed Extract, Polysorbate 80, Vegetable Glycerin (certified organic), Ascorbic Acid (Vitamin C), Propanediol, Sustainably sourced Sandalwood, Organic Jasmine Sambac, Wildcrafted Palmarosa, Organic Tangerine, Coriander Seed, Cinnamon Leaf, Orange Blossom Absolute.